Supplements: Should I Even Take Them? Home ⁄ Supplements: Should I Even Take Them? If you’re taking supplements, this may be the first test. With most of my new clients I find that I’m taking them off supplements. They have a bag full of products that they take but they don’t remember why. They don’t even really know if they’re doing anything. 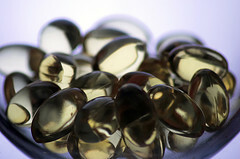 You should notice a difference when you take your supplements, or when you discontinue them. (Or, perhaps a qualified practitioner trained to know what to look for.) Used appropriately, supplements can offer an effective bridge to better health, so be sure your routine is working for you. First and foremost, you should only take high-quality supplements. With some poorer quality products I might advise my clients to open up their bottle, take out the recommended daily dosage and throw the pills right in the trash. It’s a bit snarky, I know, but many poor quality products are, at best, a waste of your money and, at worst, bad for your health. So, how do you find quality among the mass-marketed, global nutrition industry products available today? A solid start is to see if they’re MAD DOC approved. Watch our MAD DOC video and get our free supplement guide and convenient wallet cards. If you’re interested, check out this recent article in Medical News Today about the treatment of depression with methylfolate. Now, there’s the matter of digestion. There may be no need to take supplements if your digestion is not working well. People tend to get a bit squeamish about digestion but the inconvenient truth is that it’s the foundation of your physical health. All other aspects of physical health (and this includes less obvious things like mental performance, emotional health, athletic performance, sexual health, sleep, stress adaptation) depend on the performance of the gut. So, why would you not take supplements if your not digesting foods well? Because you may not digest the supplements well, either. The problem is with your digestion; you’re not breaking down foods and absorbing the nutrients from your diet very well. Get your digestion straight and you may find all sorts of pings and pangs relieved by the enhanced nutrients absorption. Our squeamish nature around digestion leads many to quickly claim, “My digestion is perfect.” Or, “Nope, no problem, there.” What I frequently find is that they meant “I’m not comfortable talking about that, yet, because it’s really a mess.” Others still, have never even considered their digestion as anything more than an inconvenient part of their day. I get it, no judgment here, but remember, it’s the foundation for your health. So, if you experience gas, bloat, reflux, diarrhea, constipation or any other chronic digestive complaint, you need to consider that your foundation may be weak. 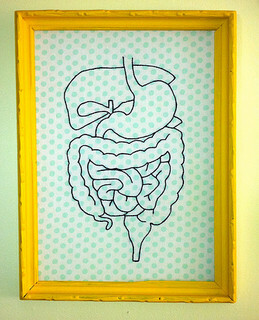 Here’s a recent article I wrote that you may like on food, digestion and supplements. So, a nutrient deficiency might be the most challenging one for you to figure out. The internet and grocery store shelves are abundant with miracle nutrients that clearly you must not be getting enough of because if you were (as the images suggest) you’d look and feel like a model running on a beach with adoring fans all around. There is a truth that the right nutrient for the right person can have dramatic, life-altering effects. I wrote an article in First for Women where zinc was “that nutrient” for my client… because she was deficient. The challenge and the art is figuring out if you have any deficiencies. People loved this article so for starters, get a mirror out and read this article: 10 Signs of Good Nutrition. Here’s another barometer you can use anytime… check your mood, energy and cravings. Imbalance depicts imbalance. Get routine labs from your doctor reviewed from a functional nutrition perspective. Most labs are just looked at for high and low values, but there’s a ton of information to be drawn out when you consider them from a functional perspective. We have a Food First philosophy and recommend food as your first choice, but our clinical practice leads us to recognize the value of high quality supplements. Appropriately used, they can be an invaluable part of your health journey, an excellent bridge to get you where you want to go. Just make sure you’re taking the right ones, that they work for you, not against you and that you get results.